If you’ve decided to transition to a one-income family during maternity leave, after going back to work for a short while, or even after your five kids have started school, you’ll need to prepare for your new financial situation. First, you should understand your total household contribution. The individual considering giving up their income would look at what it costs in terms of money not coming into the home, and money that wouldn’t need to be spent because the parent would be home. For instance, if dad stays home, he won’t need to pay for daycare, business clothing, lunches with colleagues and contributions to office gifts, or even the second family car. There are certain tax breaks for single-income families as well. If both parents work outside the home, income tax law requires the lower-income earning spouse deducts child-care expenses. If one parent stays at home, the working spouse can claim a small spousal credit. What does the working parent who is considering staying home currently spend on the following? After running the numbers, many families find that it just makes sense for one parent to stay at home with the children. In others, the decision is much more difficult. How large is the income gap? With changes in your spending and consumption, is the gap too large, or manageable? Would a part-time weekend or evening job cover the deficit? Many stay-at-home parents must find a way to contribute some income without resorting to putting their child into pricey childcare. Though we usually think of working parents as those working in a traditional 9 to 5 job, a significant proportion of Canadians work non-traditional hours. Compressed work weeks, flexible work arrangements, night shifts, weekends only – there are many different arrangements available depending on your industry and employer. Parents sometimes switch careers, either temporarily or permanently, to accommodate more time at home. 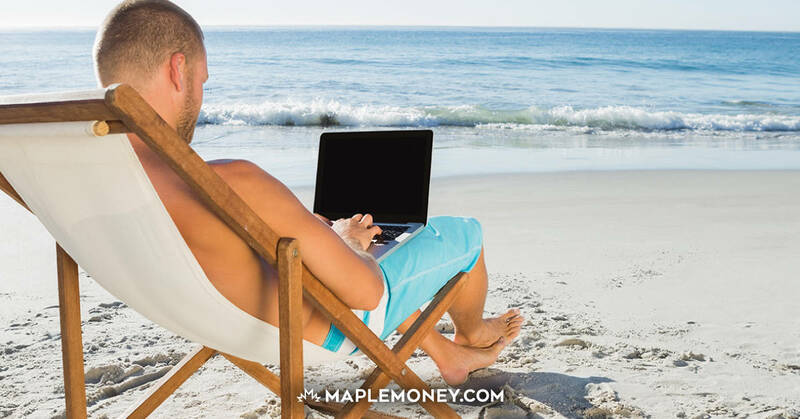 You may be able to telecommute, start a home-based business, or work for someone else’s home-based business. The nice woman who drives your child’s school bus and brings her one-year-old along for the ride works just four to six hours a day and has her child with her. She gets paid, plus avoids childcare costs. And she just may have a university degree and an extensive background in sales. The call centre employee who takes your call at 2:00am may have once been an executive in the same company who decided to work just enough night shifts to cover his family’s income gap. A word of caution though – if you’re working at home you may still require childcare, and you may pay the same amount you would have if you had your child in care full time. If you’ve figured out that your full time job is only netting you $500 a month, you could work part time to make a portion of that amount, and cut your spending to make up the shortfall. The following list of suggestions for alternative work for parents may inspire you to think of other means by which to earn additional income. Sarah Deveau is the author of Money Smart Mom: Financially Fit Parenting.